February is the month of Luurve, and if any online bingo site in the UK knows how to show the love, it's Paddy Power Bingo. They have something very special lined up, and it does not end on the 14th February, but continues through the whole month! Read their special "Love Letter" daily as it opens into a new promotion every single day. For example today – at the time of writing, it is Wednesday the 2nd February; the prizes up for grabs are 10 x a bottle of Champagne, with a pair of Champagne flutes, so, ten lucky members will win. Each time you play this new Paddy Power bingo game, means meeting specific requirements. In the draw for this date, this means spending £/€20 on bingo or side games and the prize draw is completely random! You also have to opt in, but you will see this when you click on the love letter and it opens up onto each days featured promotion. They will be giving away free bingo for a year, tons of bingo bonus points and even a romantic hot air balloon flight, so, check back every day, because there is more than just love in the air at this site. There are X Factor tickets to the live tour at the Wembley Arena and this takes place on the 5th March 2011, with an overnight stay in the Wembley Plaza Hotel. There is also a Slots of Love Prize draw with £/€1000 to be credited as withdrawable cash. 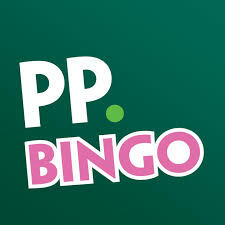 On the 14th February at Paddy Power Bingo instead of the usual £/€7,500 up for grabs as the normal daily guaranteed linx; they are increasing the prize to £/€14K to celebrate Valentine’s Day. Find this game in the Gold and the Sapphire room if you happen to be after the BIG bucks – which of course we all are in a way!